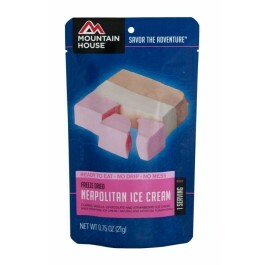 The Neapolitan ice cream bar from Mountain House is an excellent addition to any food storage program. Not only will it provide you with a delicious snack, but it also has 120 calories to keep you strong. The quick burst of energy can help you get through difficult situations in the event of an emergency, or you can just relax and enjoy it. While you won’t want to base your entire food stockpile on these bars, they are a great item to have available. 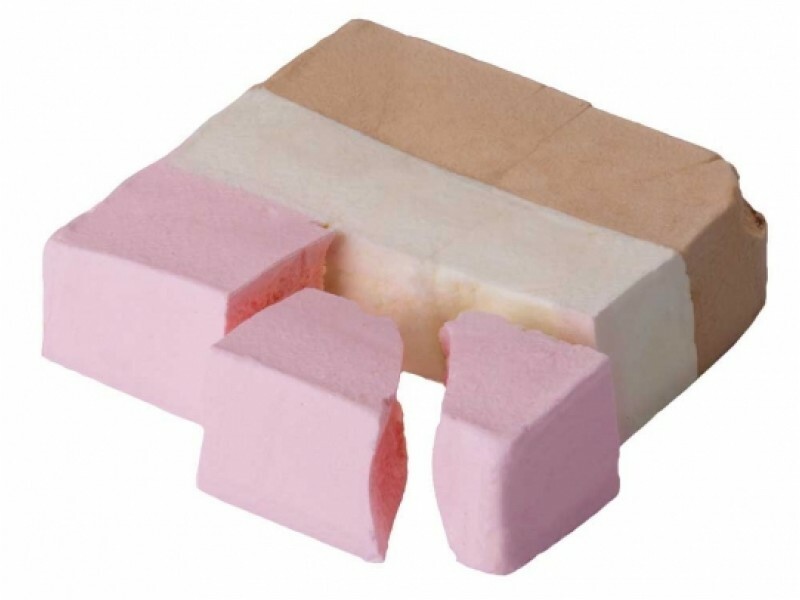 Each Neapolitan ice cream bar order contains a single serving in a sealed pouch. The pouch contains the classic chocolate, strawberry and vanilla ice cream that most of us have grown to know and love. Due to the freeze dried preparation, and high quality packaging, this iced cream can last for many years on the shelf, and still taste great when you’re ready to open it up. 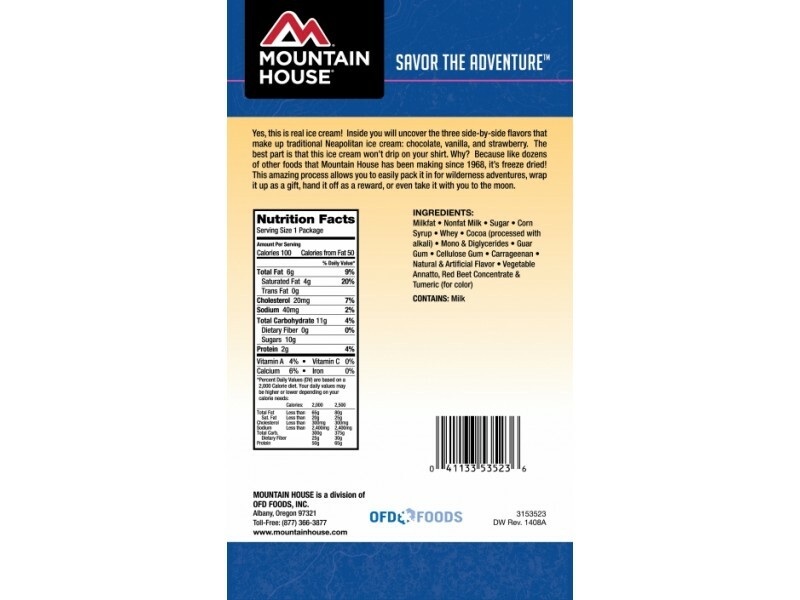 You can add this to your food storage program as a snack in an emergency, or order them to bring with you on hikes or camping trips. They make a very convenient dessert for almost any occasion. 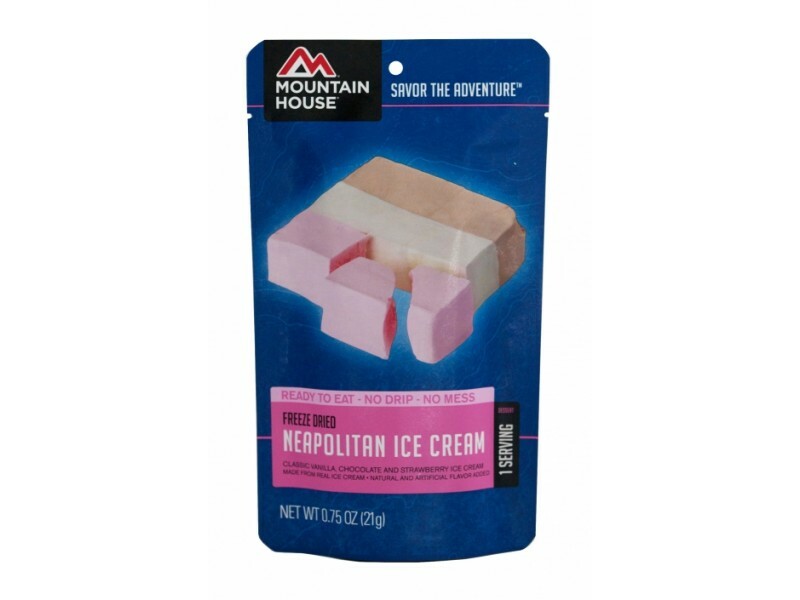 The way this ice cream is prepared and packaged is just like the ice cream that astronauts bring with them into space, making this a fun item to order too. Many people will offer it to their children, or even entire classrooms, as part of learning about space exploration. Most of these Neapolitan ice cream bars are, however, ordered to be part of an emergency food stockpile. Having a great dessert like this in the event of a disaster can help individuals or families retain some sense of normalcy in any situation. Order one to try, or pick up enough for the whole family to enjoy. INGREDIENTS: Milkfat and Nonfat Milk, Sugar, Corn Syrup, Whey, Cocoa (processed with alkali), Mono and Diglycerides, Guar Gum, Cellulose Gum and Carrageenan, Artificial Flavor, Annatto Color, Red Beet Concentrate, and Tumeric Color. CONTAINS: Milk. One pouch is one serving.